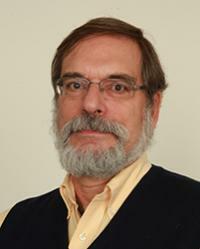 Steve Leinwand is a principal research analyst at AIR and has over 30 years of leadership positions in mathematics education. He currently serves as mathematics expert on a wide range of AIR projects that evaluate programs, develop assessments, and provide technical assistance. Leinwand’s work at AIR has included developing specifications and an Algebraic Reasoning item pool for the NCES High School Longitudinal Study; serving as Implementation Task Leader for the IES Mathematics Professional Development Impact Study; co-authoring "What the United States Can Learn from Singapore's World-Class Mathematics System (and what Singapore can learn from the United States"; and co-authoring a comparison of the 2007 Grade 3 assessments administered in Hong Kong and in Massachusetts. In addition, Leinwand has provided school and district-level support and technical assistance for the General Electric Foundation’s Ensuring Futures in Education project, the Microsoft Math Partnership, and the School Improvement Program work at Hazelwood East Middle School in Missouri. As part of AIR’s assessment program, Leinwand has overseen the development of multiple-choice and constructed response items for AIR’s contracts with Ohio, Hawaii, Delaware, and South Carolina.